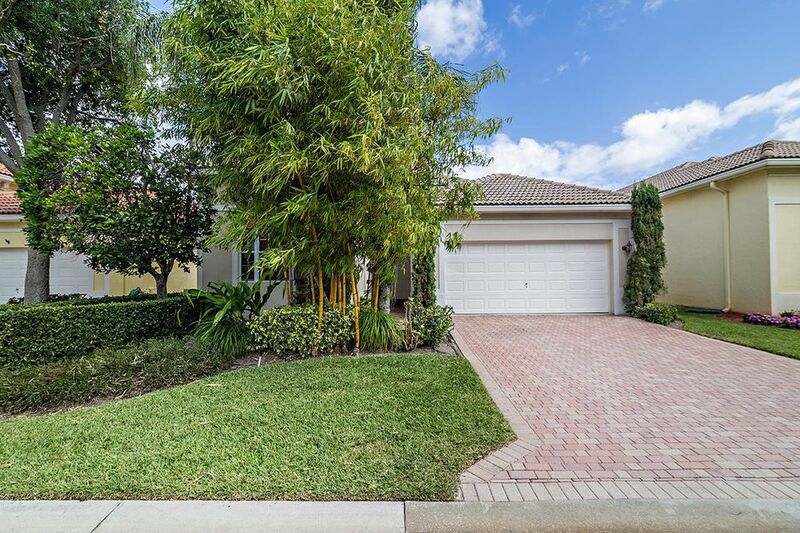 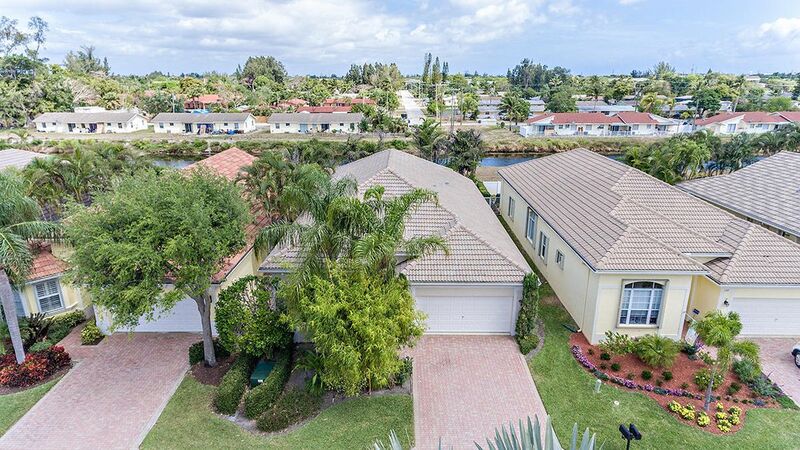 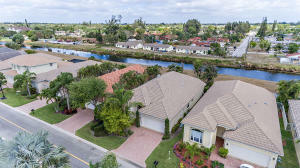 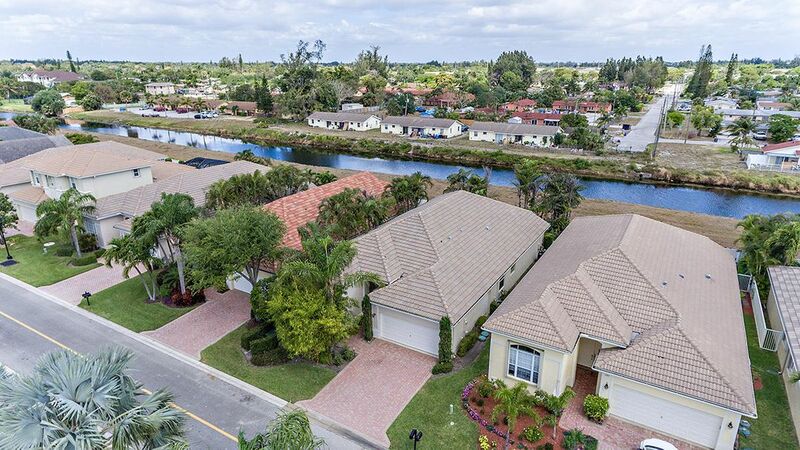 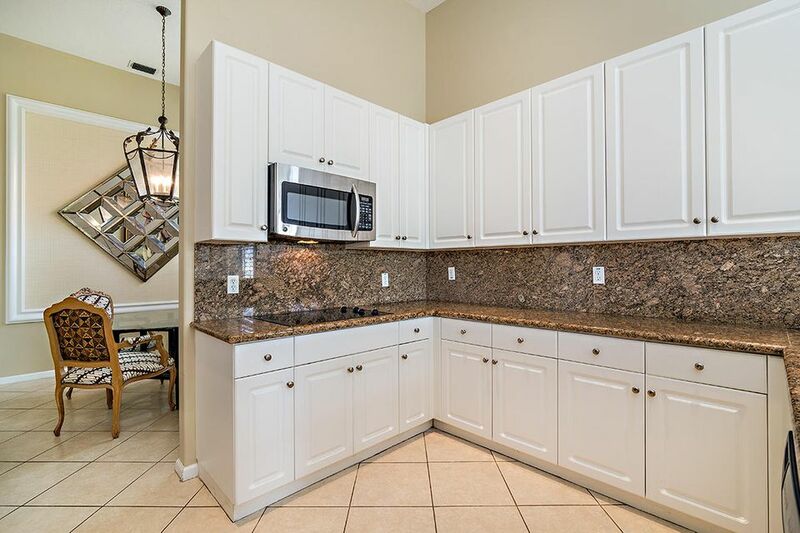 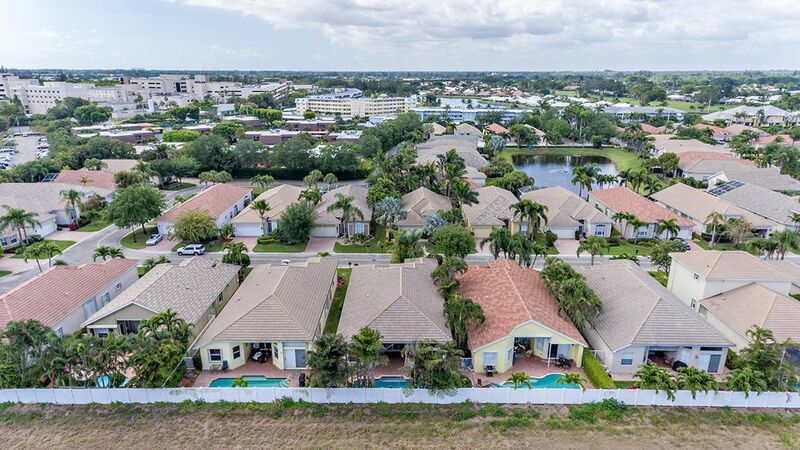 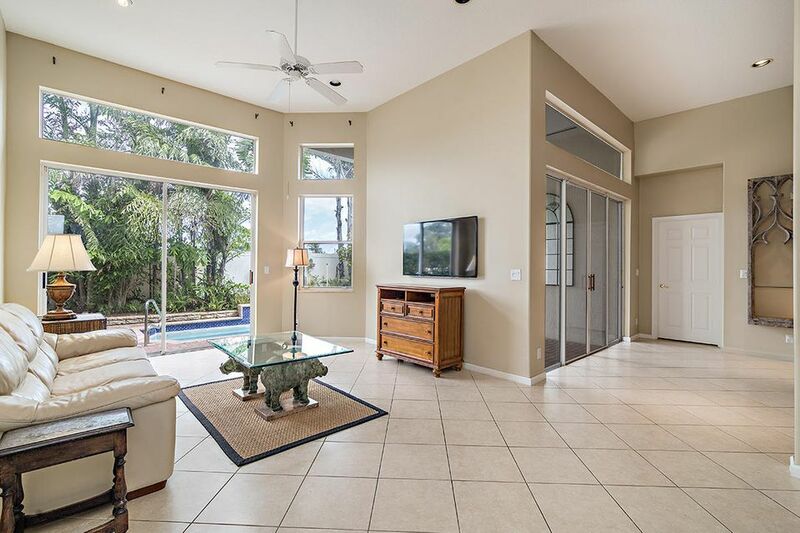 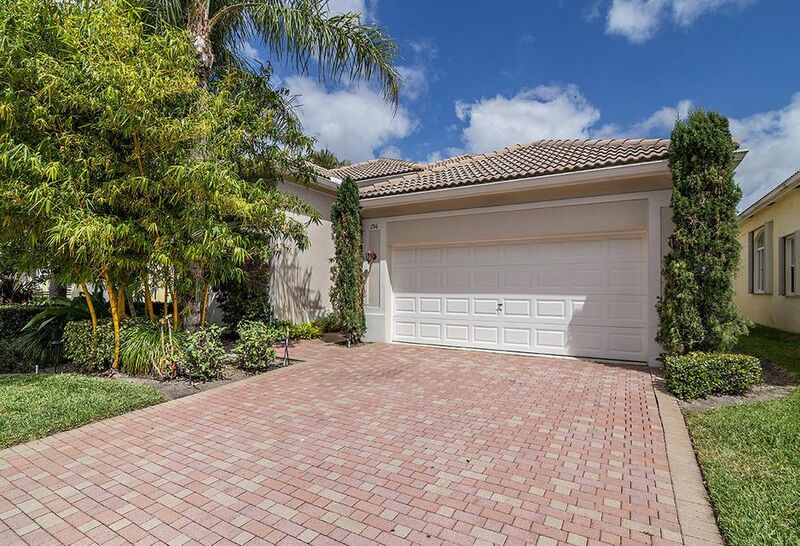 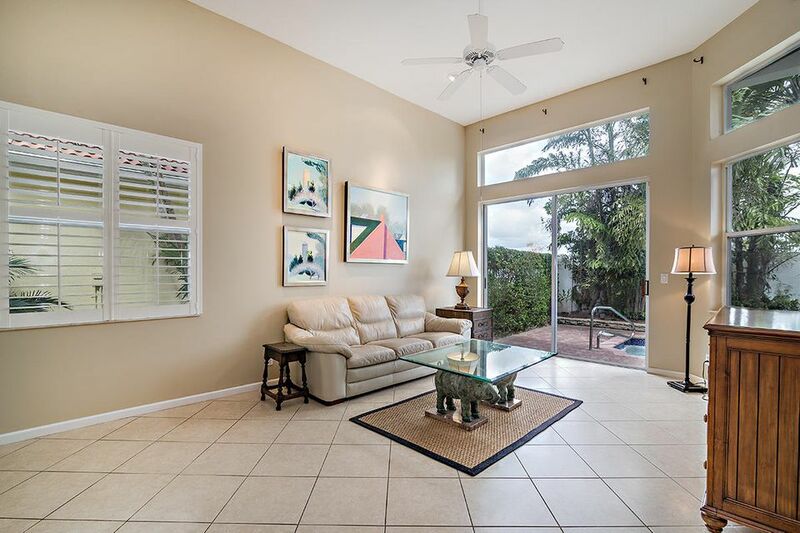 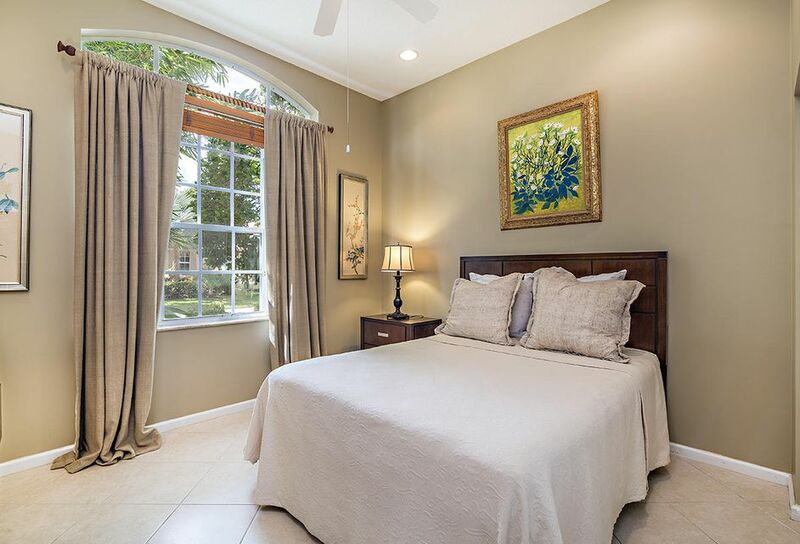 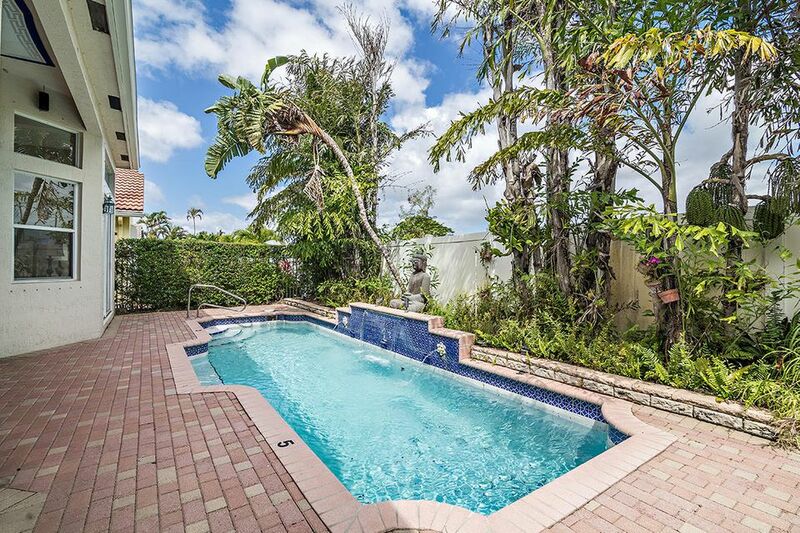 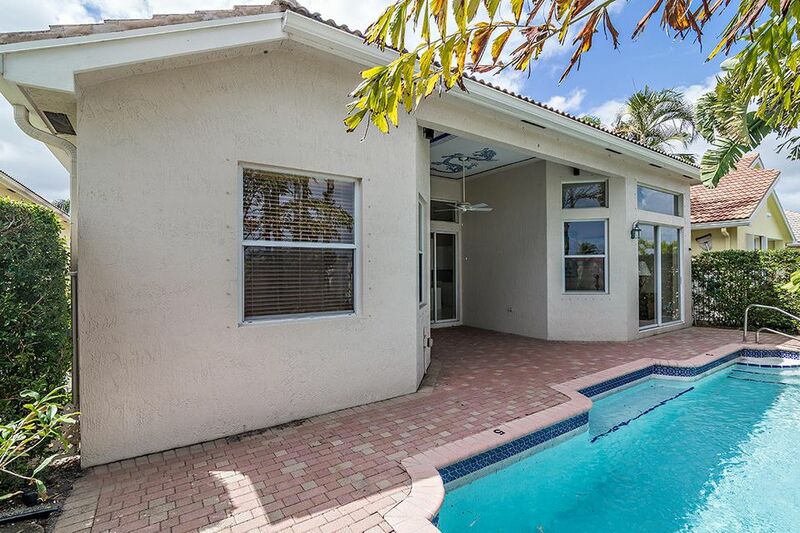 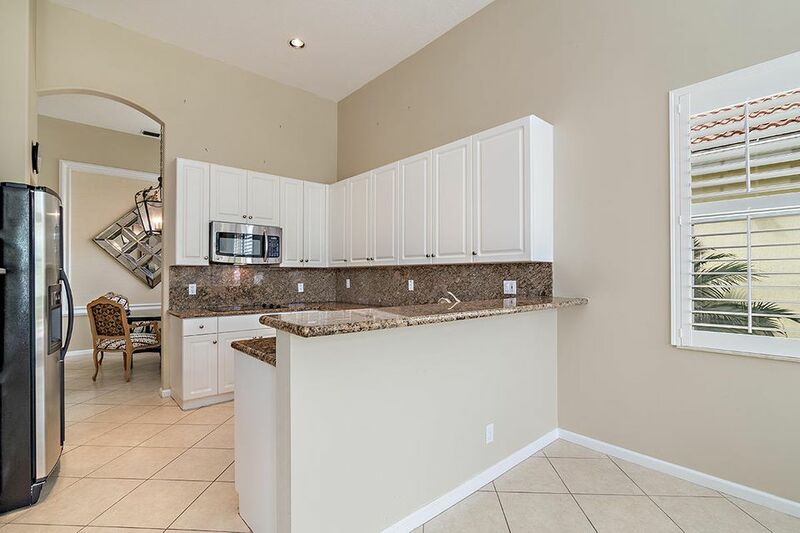 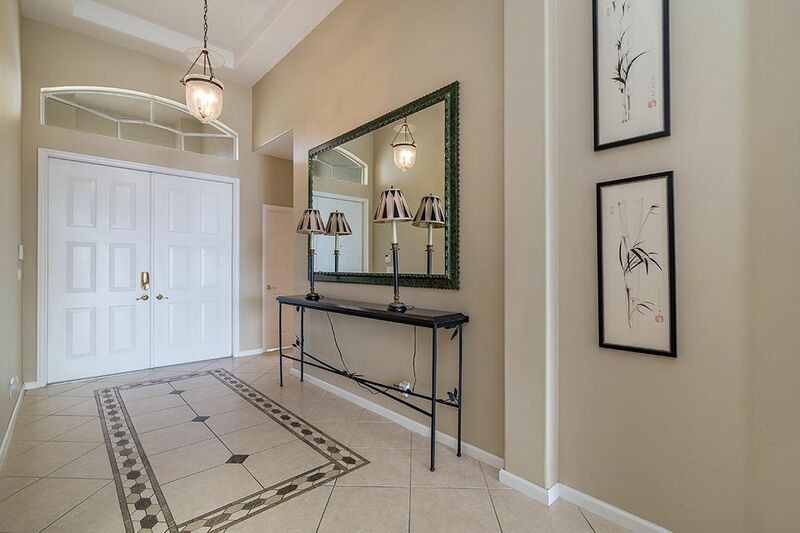 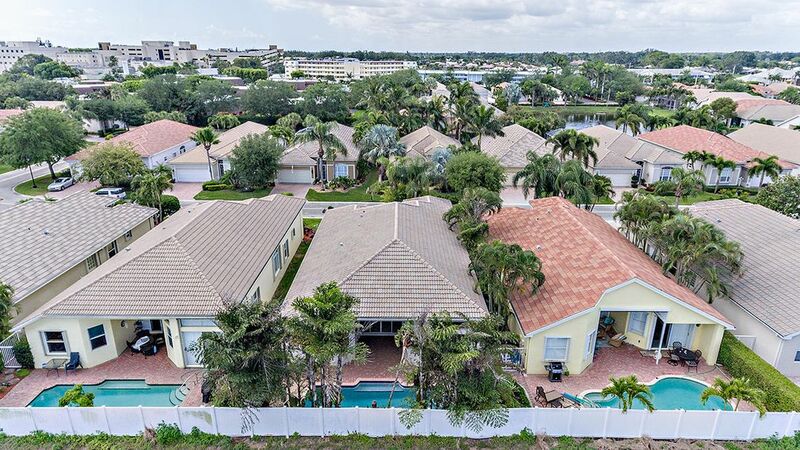 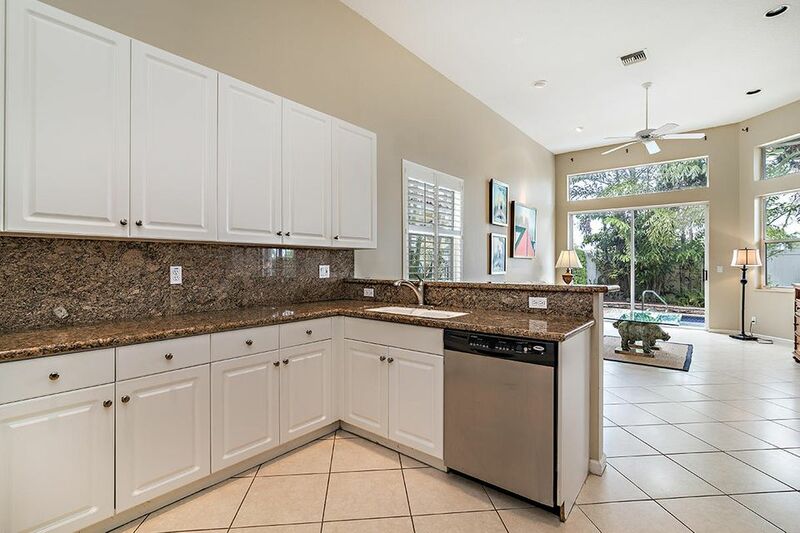 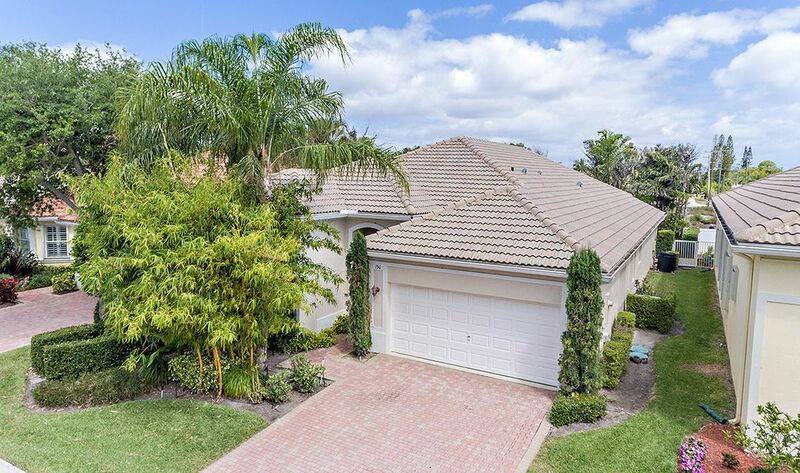 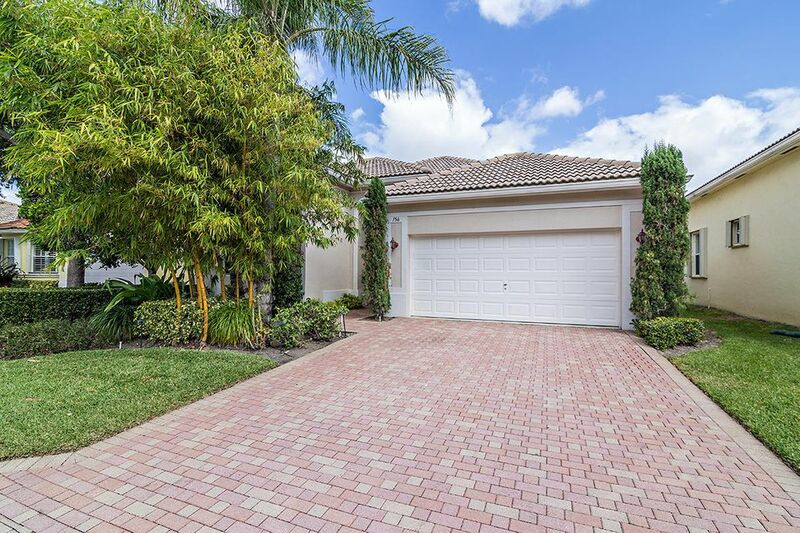 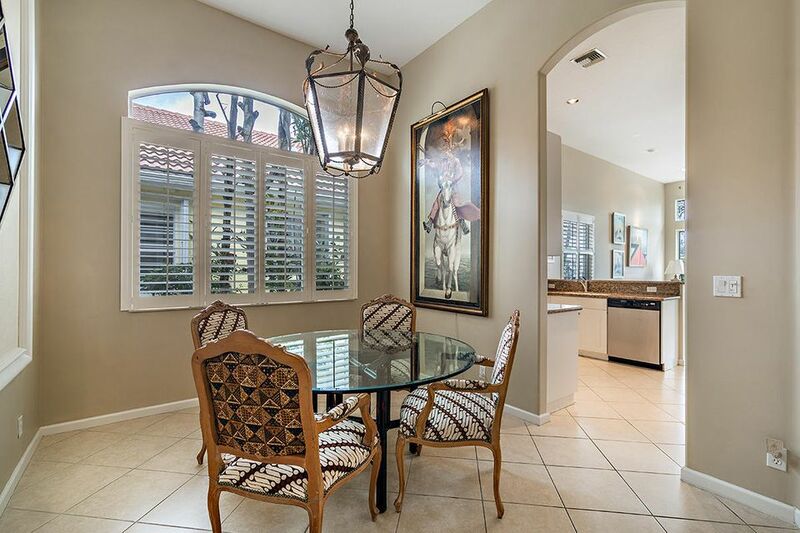 Situated in the Uber private Atlantis community rests this move-in ready 3 bedroom, 2.5 bath home with serene swimming pool and 2 car plus golf cart space attached garage. 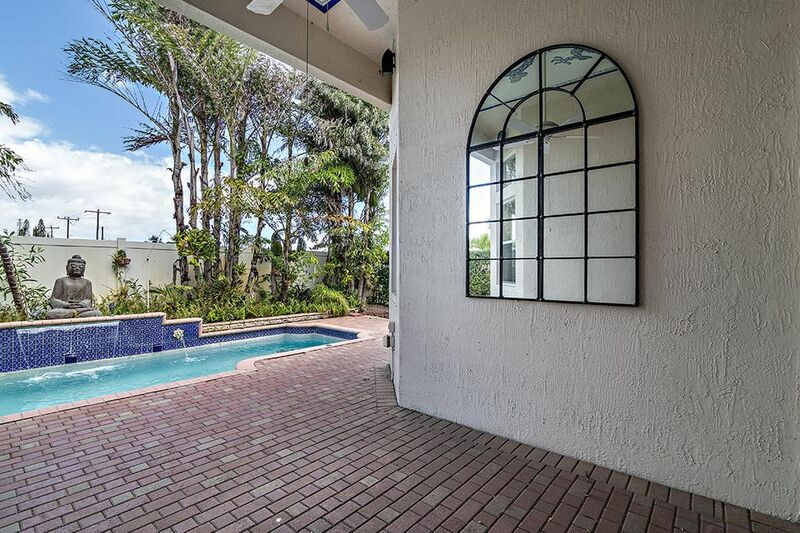 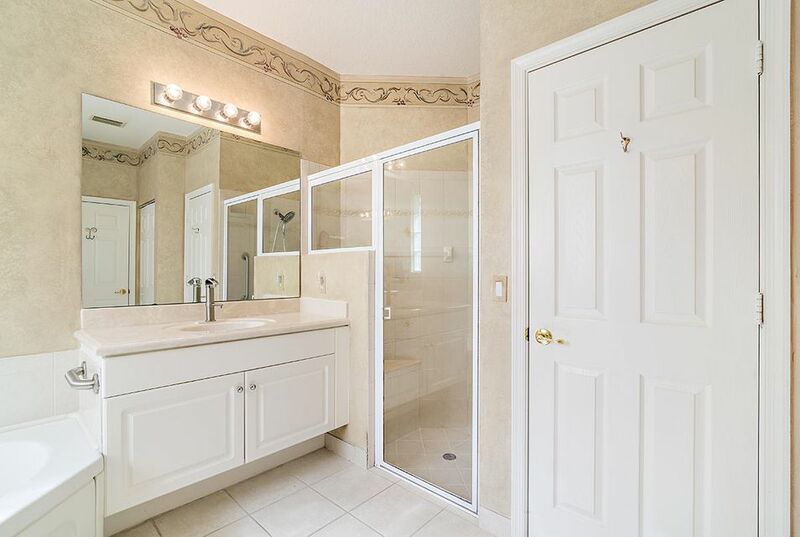 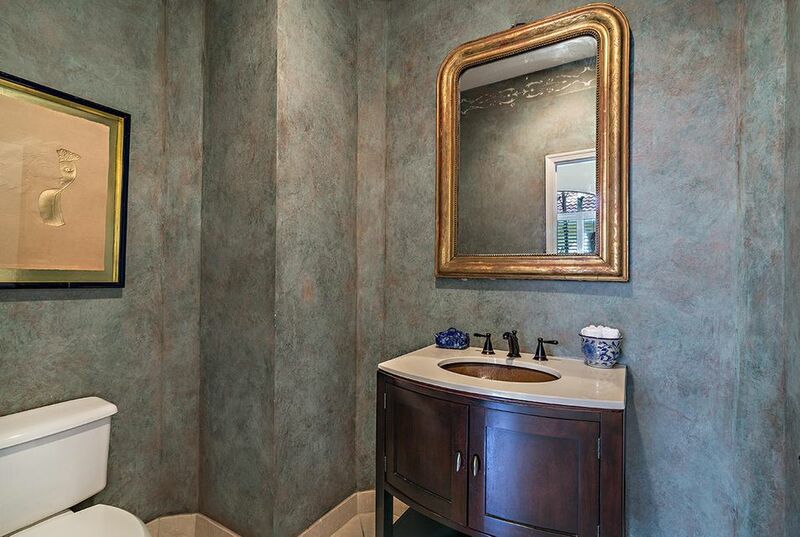 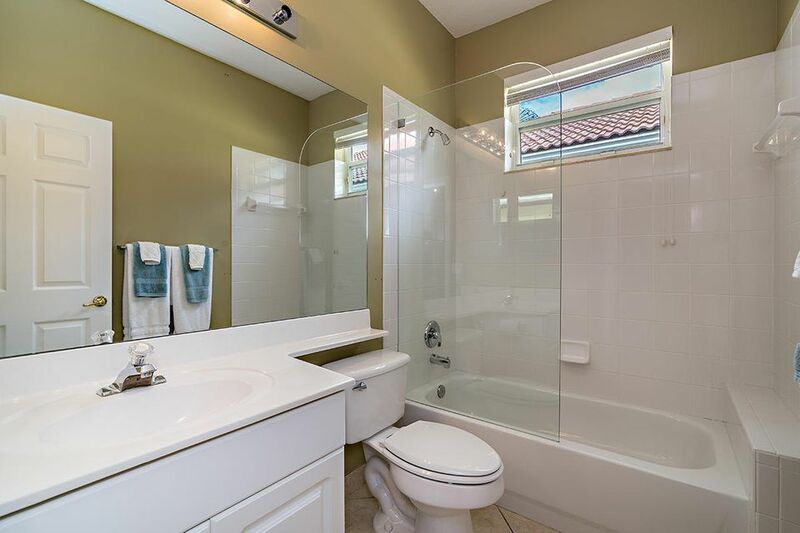 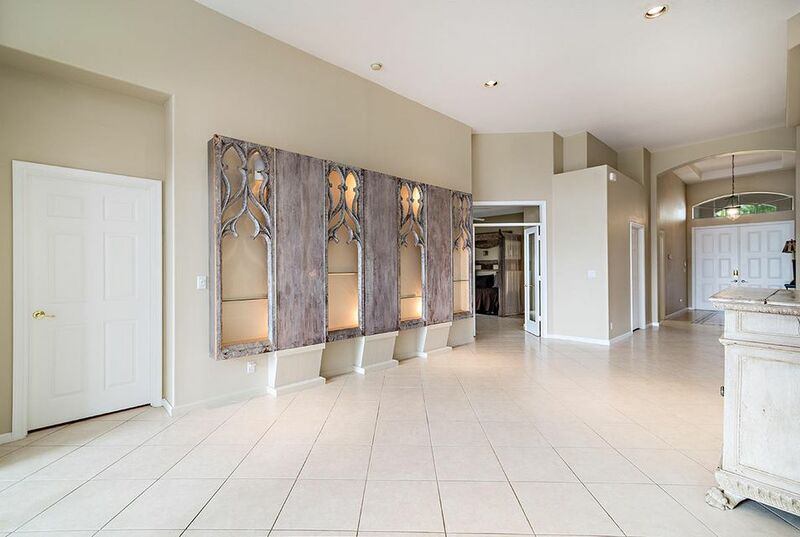 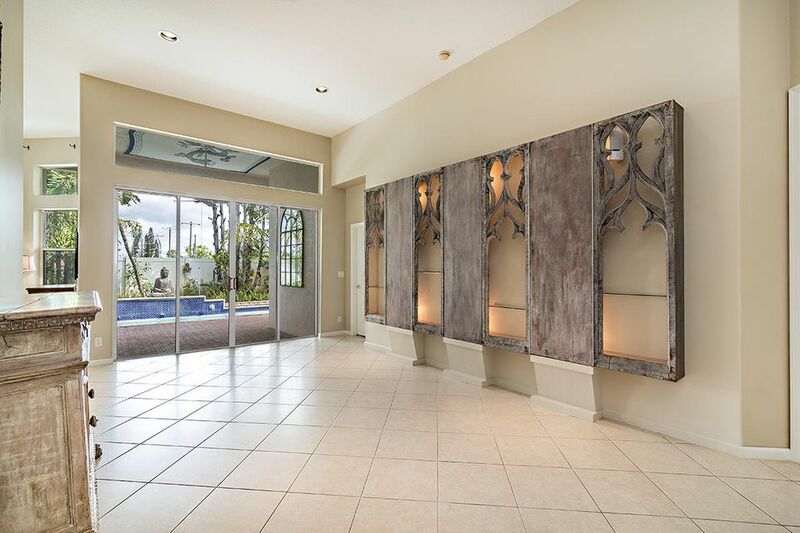 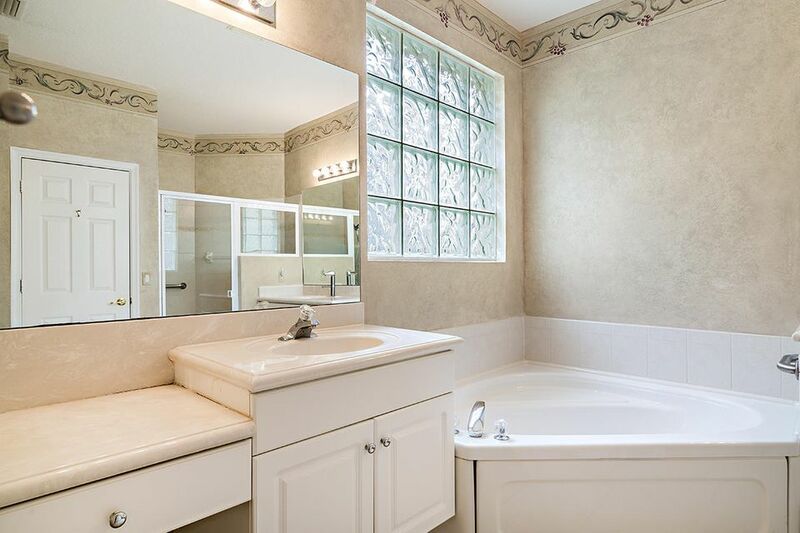 This home has wall to wall tile, a built in office/ library with a living room and kitchen over looking the backyard and its stunning swimming pool. 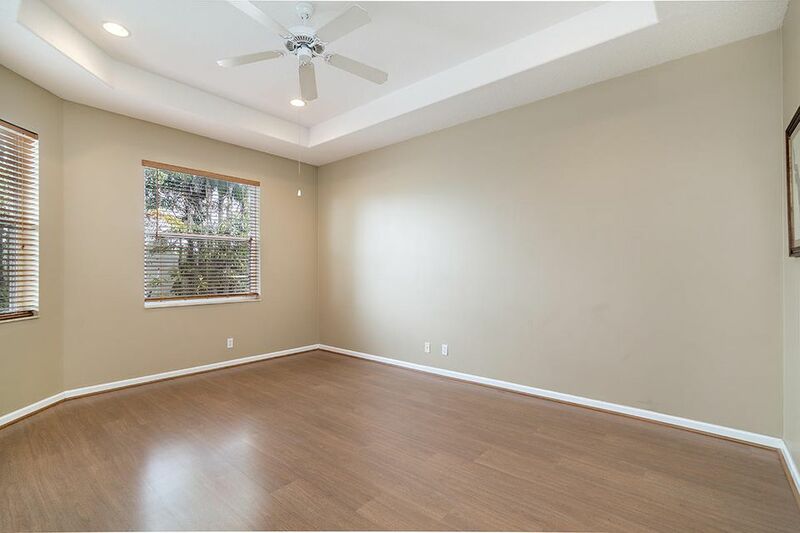 Virtually maintenance free this house is a perfect forever home or a great lock-up-and-go seasonal retreat. 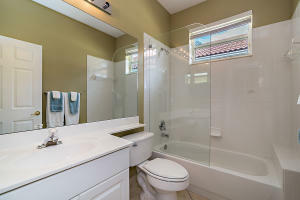 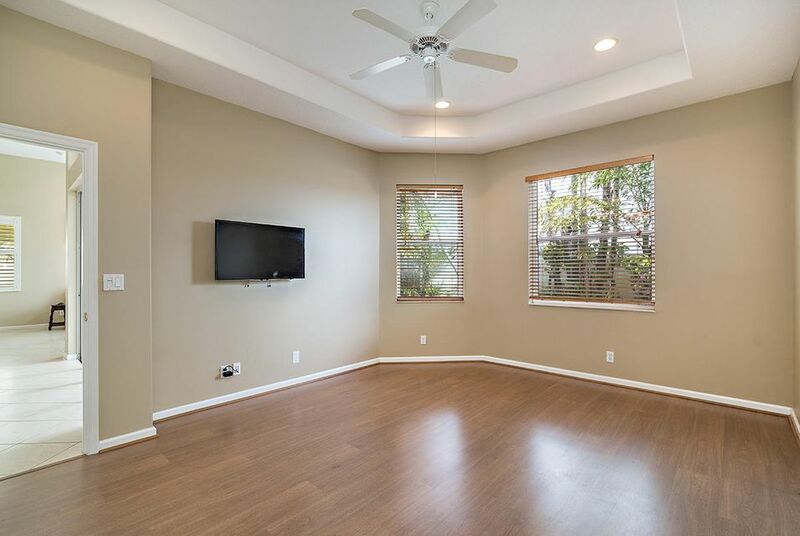 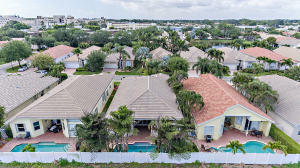 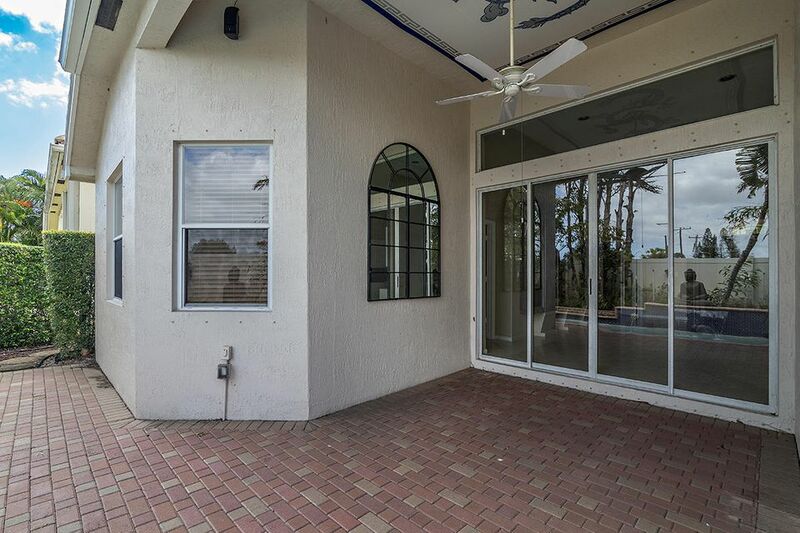 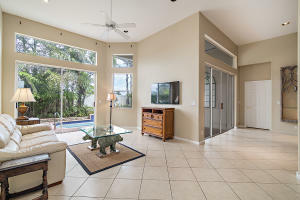 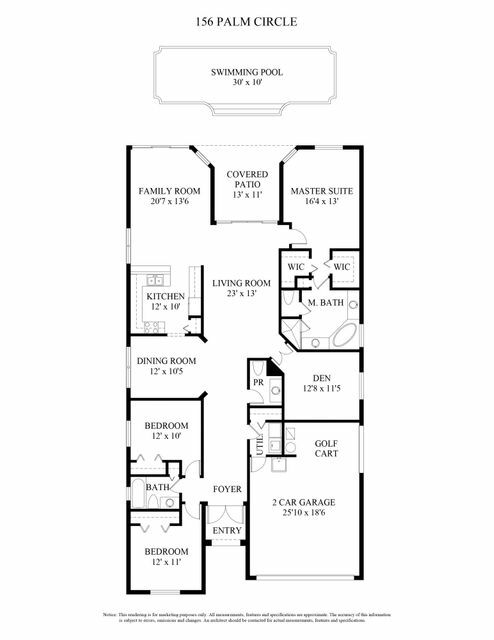 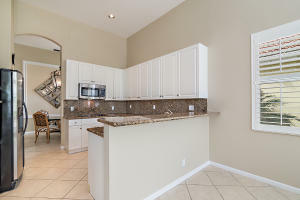 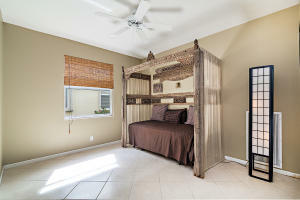 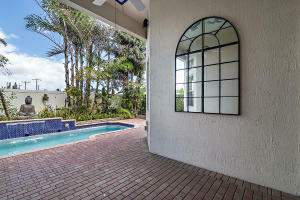 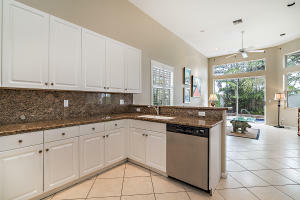 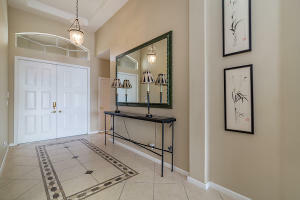 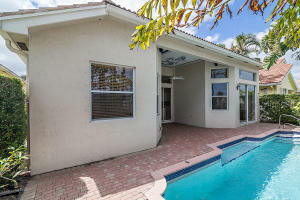 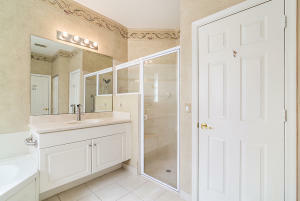 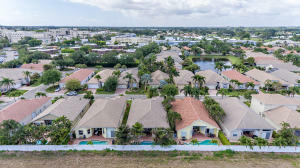 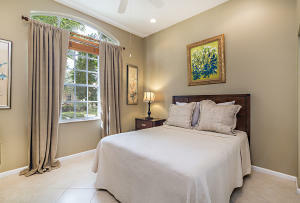 Near I-95, PBI airport, area restaurants/ entertainment and JFK hospital. Listing Sold by Chasewood Realty, Inc. 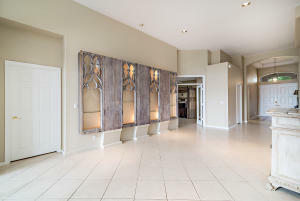 Selling Office NameChasewood Realty, Inc.